St Sergius Chapel is located at 10197 chemin du Lac Labelle. Lac Labelle is about two hours’ drive north from Montreal, and about the same from Ottawa through Montebello, QC. Services are held only during the summer months as announced. St Sergius Chapel is located on the land next to the home of the late Mr Sergius Troubetskoi, at 10197, chemin du Lac Labelle. 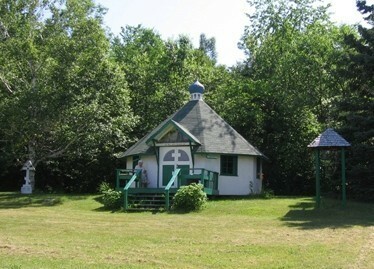 Founded in 1953, the chapel serves a group of Orthodox families who have summer homes at Lac Labelle, and other visitors. Lac Labelle is about two hours’ drive north from Montreal.